So I just want to know what actually anger is…?? How it can be defined…?? When it occurs…?? Why it occur..?? Do let me know your views…in the comments section below…. “After long break you met it”,that means you already know to forgive,forget and control anger..
And “which led me think why it happens” shows you introspect…Which most of us forget to do. Instead if possible never speak when angry….This is a very ancient wisdom but it works… Whether it’s a friend or foe..one should never release it on anyone because the things you never want…will get conveyed in anger…..and anger will go but your words will never leave their impact completely.So, better..go in some silent place and come out when you are cooled. And my question is “Is getting rid of anger in such a way that it never returns back…is it humanly possible?” If your answer is no then avoiding and controling is only possible solution. Lastly I end sharing something I wrote few days back..When I had ha huge encounter with my anger and I repented for yelling in anger. Hence our wrath sometimes may fall on someone other than the intended. Our thoughts and feelings are like water, when icy will freeze and crack relations and when boiling, it cause burns. So when we are calm and cool we would react to a situation different from what we’d do when we are already stressed. …. Very negative activities. So why do we get angry? Well, first of all we need to be see the context whenever we get angry as we get angry for various reasons. First point of course is one of the main reason of getting angry as we are weak and feel helpless, we shout. Though the threshold differs from person to person and situation to situation. And though this might be the main reason for the anger it is not easy to reach this level as even Gods get angry. The attachment and expectations play a big role in shaping our anger too. We feel angry when we find people are not doing as expected by us, and since most of the expectations are with close ones we tend to be angry with them. We also fly of the handle when we expect someone to understand and they don’t. We get angry when we find people creating nuisance in numerous ways. being angry is a natural phenomenon to release the Pent up energy in our brain just like a pressure cooker whistle. 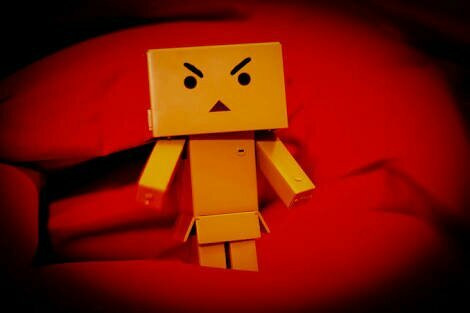 So getting angry once in a while is not bad., what matters is whatever we say when we are angry. A restrain in language and words surely helps so that we don’t regret the things we have said at the later stage. Different people deal with anger differently. There are persons who will say what they feel instantly, so they could erupt like volcanoes on your mistakes but will be cool after releasing their wrath. Then there are people who are seen as a calm and unnerved guys, they may notice your fault but will not say anything. Though they may forgive but will not forget and would build upon the grudge on your next mistake. From mistake I mean the deviation from the expected lines of the angry person. And one day they’ll burst like anything making you think what I have done to deserve this outburst. A nice scribble about the anger! We avoid… And that’s the only solution….!!! Yeah that’s true… I always try to avoid…. Forgive and forget is the thing I always do… But… This time the scenarios were different….